Steve Jobs would have celebrated his 57th birthday if he was still living, but unfortunately we lost the great man last year. In honor of him and in his memory, many tribute videos, wallpapers, and Cydia tweaks have been swarming the Internet. We also showed you a neatly done Facebook Timeline video for Steve Jobs. 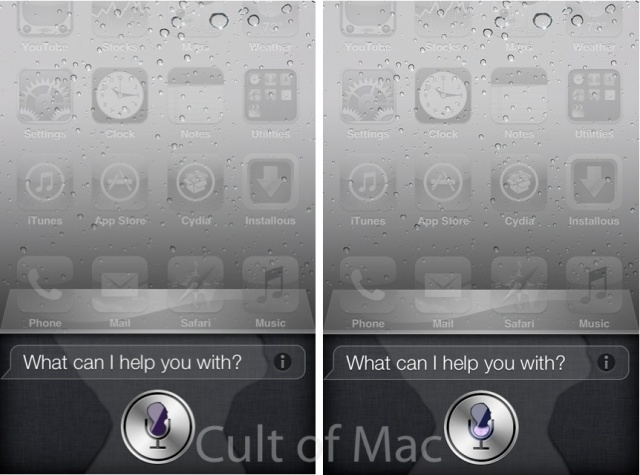 Here’s an upcoming jailbreak tweak that replaces the Siri icon with that of a Steve Jobs silhouette. CultofMac were contacted by the developer of this tweak, iPhoneKillerStyle, who will soon be releasing it in the Cydia Store. 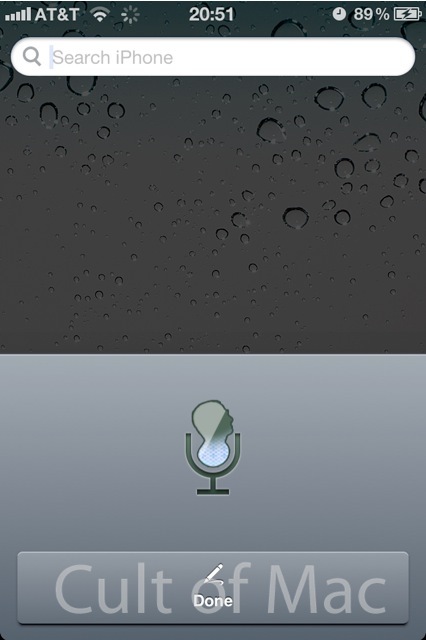 For users who want to replace the standard Siri icon with a nice Steve Jobs figure, this tweak does it with great style. It also adds a nice background for Siri’s interface that also happens to have the similar over-sized Steve Jobs silhouette. Even Siri dictation carries the same image. The tweak, which hasn’t been named yet, will be soon available in Cydia for $1. We will update you as soon as this tweak goes live on Cydia and we’ll also tell you how to get it on your jailbroken iPhone 4S or an older iDevice with the Spire Cydia tweak installed. What do you think of this tweak? Do you like it? You have to pay a dollar just to get a small icon changed? Really? I agree. Steve’s voice would be better and it’s what I thought this article was about.